"i wish i can change their life. i wish i can make them together again. i wish i could make them smile like they always do. i wish i could see them laughing together again. i wish i could see Changmin standing in between of YunJae﻿ again. 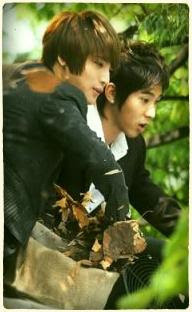 i wish i could see YooSu fooling around with each other again. I wish i could see them playing together like a family again. i could see their expression when they're called to be together in one group again..."